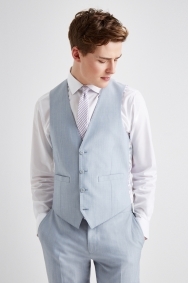 This wool blend version in a powder blue brings seasonal colour to events. 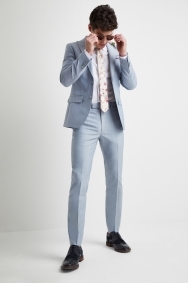 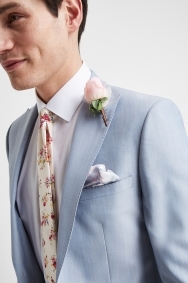 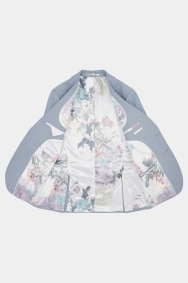 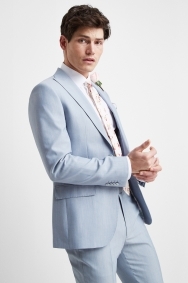 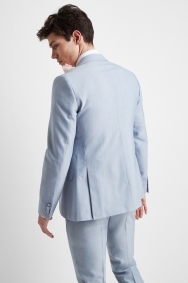 It has a simple design with a ticket pocket, printed lining and peak lapels for added interest, making it easy to wear to a number of occasions. 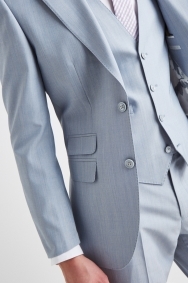 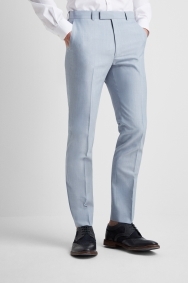 Expect the slim cut to have a narrow fit through the shoulders, chest and waist.